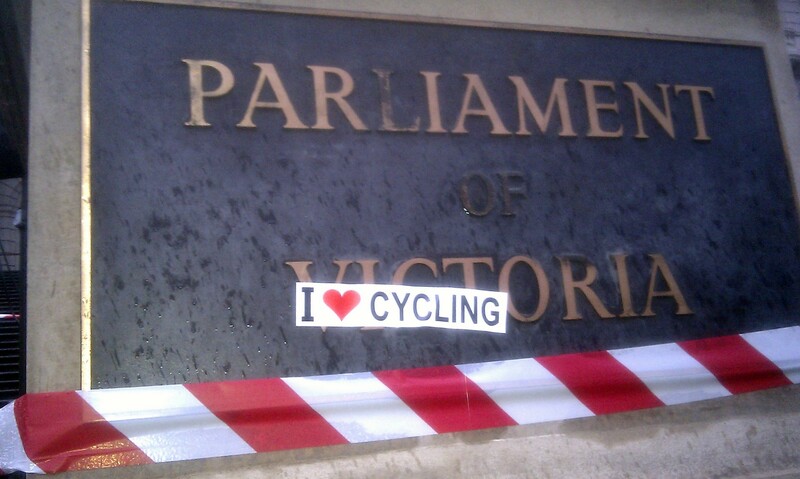 The road to reinstating Victoria’s bike infrastructure budget could be long and hard, but not for want of enthusiasm by Melbourne’s cyclists. 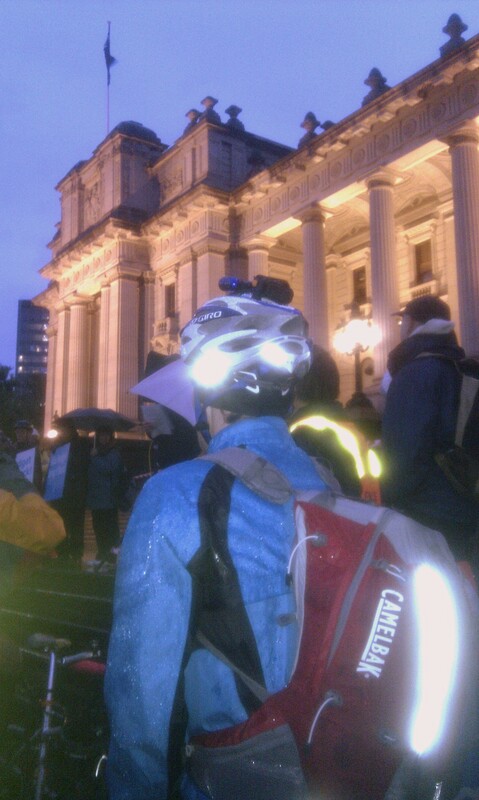 Well over 500 cyclists braved one of Melbourne’s most miserable mornings to turn up to Bicycle Network Victoria’s pre-work rally on the steps of Parliament on Thursday. They were treated to a good speech from CEO Harry Barber and a good event with lots of photo ops, many of which made the papers and evening news. Numerous cyclists were bewildered that a modern government willing to court the all-conquering Cadel Evans and spruik our Bike City status could be so planning-illiterate as to cancel such a program. What’s next? Our rights to the road? The infrastructure program is peanuts in terms of the state budget. We probably spend more each year on cars and drivers for State Ministers. If those same Ministers spent a week on a bike – even during business hours – we’d see enough savings to reinstate the whole program, as well as the will to do so. This entry was posted in Funding, Uncategorized and tagged #MelbourneCycling by quaddess. Bookmark the permalink.